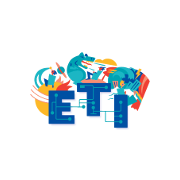 ETI’s award winning multisensory systems are enjoyed literally every minute of every day somewhere on the planet. With each project, the Edwards Technologies Inc. (ETI) team, led by Brian Edwards, designs and builds leading-edge audio visual interactive systems. This combination incorporates the business needs of the client and the demands of audiences that insist on highly engaging multisensory experiences. In 2009, partnering with German based Videro LLC, ETI created the ETI/Videro Media Cloud System with infinite capabilities that is changing the game in media delivery and content management. ETI acquired a majority ownership in Videro in 2012. Photographs from Edwards Technologies, Inc.